Pre-Monsoon rain commences and withdraws from Peninsular India earlier than the northern parts. 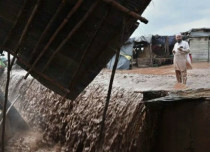 June is very much a pre-Monsoon season for North India but the Southwest Monsoon generally strikes Kerala by June 1. 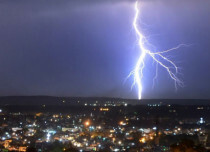 Simultaneously, Monsoon reaches parts of Northeast India. Pre-Monsoon season is synonymous with heat and humidity with uncomfortable conditions throughout the day and night. 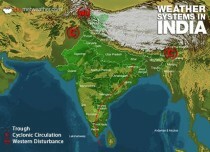 However, fairly stronger winds bring down temperatures to a comfortable level during Monsoon in India. 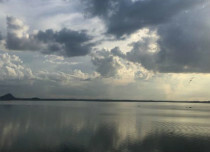 Clouds are more of vertical in nature during the pre-Monsoon season and mostly come up during late afternoon and early evening hours. They are triggered by high temperatures and towering clouds build up. On the other hand, the Monsoon season is known for stratiform clouds, mainly sheet-like continuous layers of clouds. Depths of these clouds are less but the layers are thick and moisture laden. Pre-Monsoon rain is sharp and intense and gets over for the day, after just one spell. 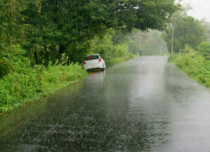 But, the Southwest Monsoon brings longer spells of rain which are also recurring in nature. 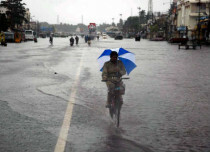 In the Monsoon season, rain can commence in Peninsular India during any time of the day, though the preferred time is generally late evening. On the other hand, pre-Monsoon rain occurs in the late afternoon and early evening hours. Pre-Monsoon showers are accompanied by squally winds leading to dust storms but during Monsoon, winds are persistently strong. Due to differential heating and huge diurnal variation of temperatures, the sea and land breeze remains prominent before the arrival of Southwest Monsoon in India. But, with the available humidity and overcast skies, the breezes are not that marked during Monsoons. Moreover, pre-Monsoon rain is patchy in nature but Southwest Monsoon covers large areas and the weather remains similar in vast pockets. Chill in the air persists irrespective of the terrain, be it Mumbai, Pune, Hyderabad or Bangalore. Chennai being on the rain shadow area of Tamil Nadu does not receive as much rain as other places.